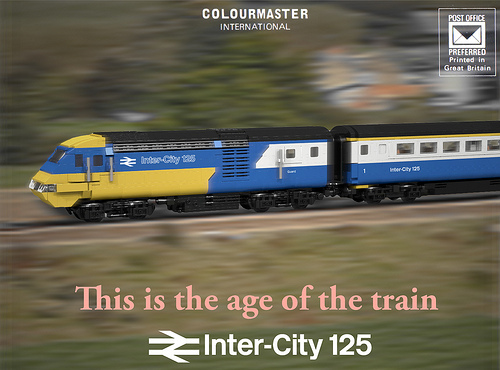 The InterCity 125 High Speed Train was never that fast by today’s standards, but it did have some sleek 70s styling and could reach speeds of over 200kph. In his fabulous LEGO version, Michael Gale puts it firmly in context with some lovely postcard presentation. But it’s not just the presentation that is great, the build techniques are pretty sleek too.